Paul Newman has merged with the infinite. We've lost him at the age of 83. I've only seen a fraction of Newman's work, but, hell... what red-blooded American made it through college without watching "Cool Hand Luke" and "Butch Cassidy and the Sundance Kid"? For the Ladies: I also have a firm memory of taking a class on "relationships" at UT, and talking about ideals for men and women, and the cacophony that hit the 400 person auditorium when Mr. Newman's image was presented as the ladies went a bit nuts. Well done, Mr. Newman. There's no question we've lost one of the best who will ever grace the screen. Few actors have been smart enough to follow Newman's lead either in choice of roles or in his example for how he lived his life off the screen (the food line has been able to give $200 million to charity). 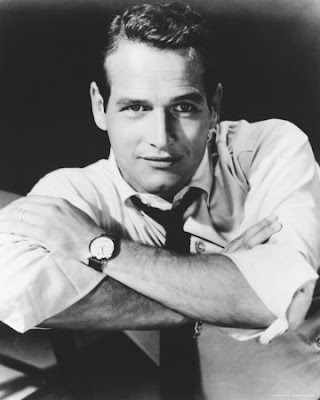 You'll be missed, Mr. Newman. I remember well my AP English teacher showing us Cool Hand Look. He's shakin' the bush up in heaven.